He is member of Foundation of Pals of All the Living, founded for creating a consciousness of “integrity of humans, animals, plants, living and non-living”, protecting natural life and all the living, mainly the street animals, that can not benefit from even the main rights of their presence as a living being, improving the natural habitats, and performing works for the purpose of making such awareness more common among the society. My pal, dog, loyal and patient, DEAR OSKAR being with me for about 16 years in good and bad days, at work, at home, in beautiful and bad weathers, with whom I’ve made about 50.000 km a year has passed away. The last will and request of OSKAR, with an animal shelter of his own name: everyone, please give some food, water and your love to the dogs and cats you see around as much as you can with your responsibility, and if possible, vaccine them. Your love to them will be back to you with unlimited love and loyalty and your immaterial benefit from this shall be a really beautiful and different feeling. This is guaranteed in the friendship between OSKAR and me. 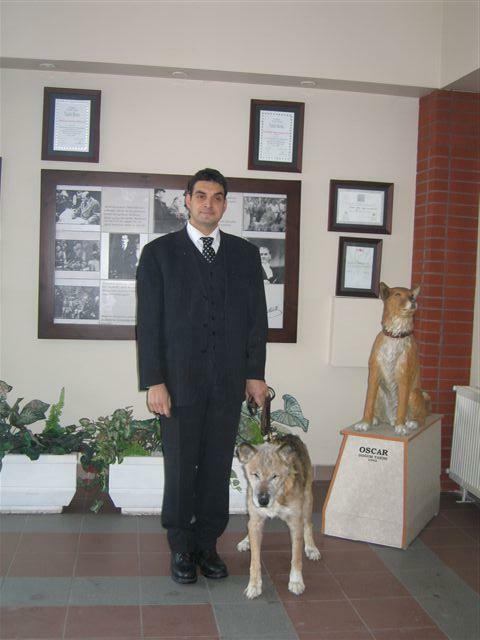 I thank a lot to my family, friends and colleagues giving their love to OSKAR all during his life and to Dr. Inci GUZEL, Prof. Dr. Kursat OZER and Dr. Hasan KAHRAMAN (BOLU), the veterinaries who did everything for OSKAR when he was sick, both for OSKAR and myself.